Awwww I love Eva’s note! *sniff* Your cards are SO pretty!! Thanks for joining in the bloghop!! Great job on both cards Yapha. The one from Eve is perfect to give to a hero. That little girl handwriting will be cherished for sure. Well done! Eva’s note is terrific! Yapha! I’m two stops ahead of you. I love that shape you created with the top note die. I will definitely be trying that soon. Great cards! The card from your daughter is charming! Thanks so much for sharing! Your cards were BEARY nice! I’m sure Eve’s card will be heartfully received. Great cards and a lovely site. Love your daughter’s note. So sweet! Beautiful cards! Eva’s card is precious. I love the message that your daughter wrote, Very touching! Wonderful cards Yapha!! Your little bear girl is wonderful…and sweet Eve’s note…precious! Love Eva’s note & I’m sure the soldiers will be passing that one around. Great work! That message from your daughter is precious. Great cards, both of them! 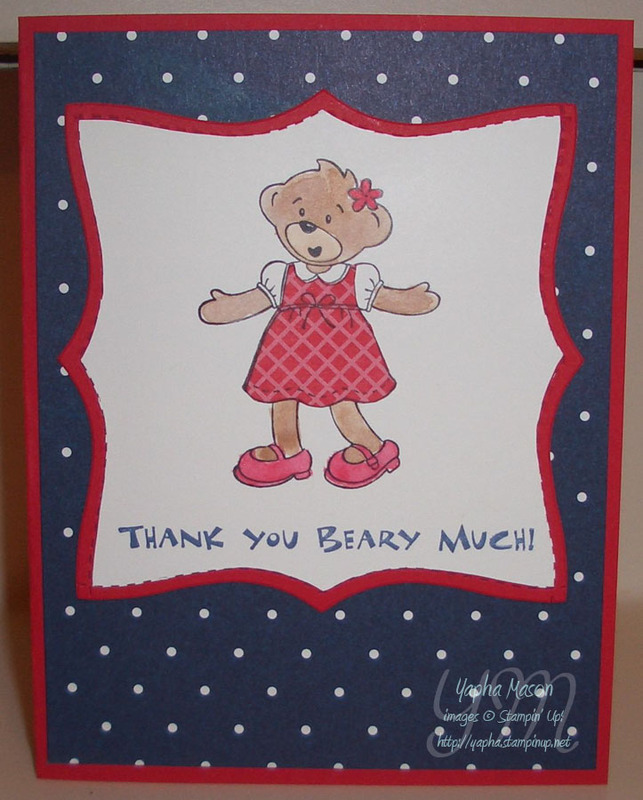 Lovely cards… thanks for being in the blog hop and for helping to spread the word about OWH. This is such a heartening venture. Here in Canada, the painting guild I belong to also creates and sends cards for our troops. They range from painted, thru to stamped and embossed cards in every style imaginable and are received with great appreciation. It’s such a little thing we can do for our heroes! Love Eve’s note. It’s wonderful to involve the kids! Super cute cards! Thanks for supporting OWH!! Awww your cards are ADORABLE! I love both creations and think it is fabulous that your daughter wrote a wonderful note to a Hero. Just beautiful! Love your cards and the beautiful note inside! Eva’s note is adorable! As a military wife I must say a great bi thank you for participating! 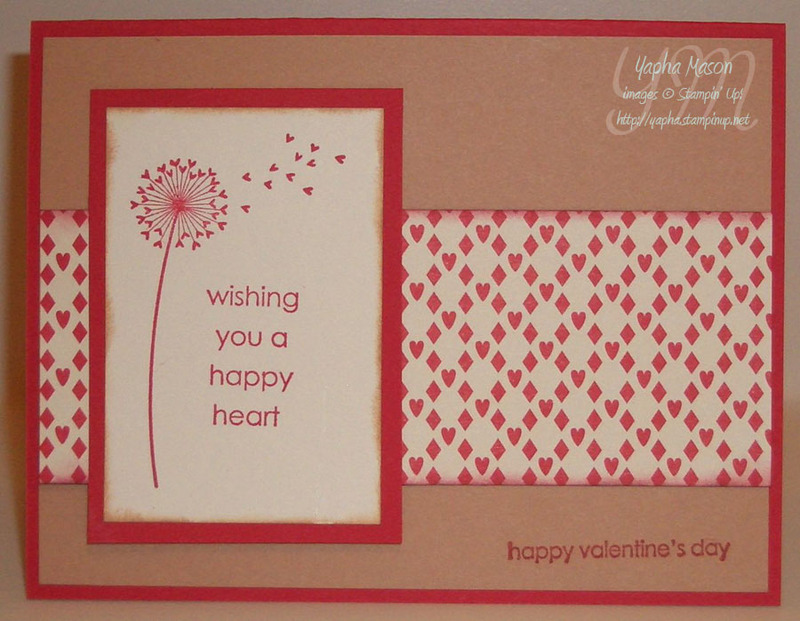 Terrific cards, Yapha–love the double cut Top Note! 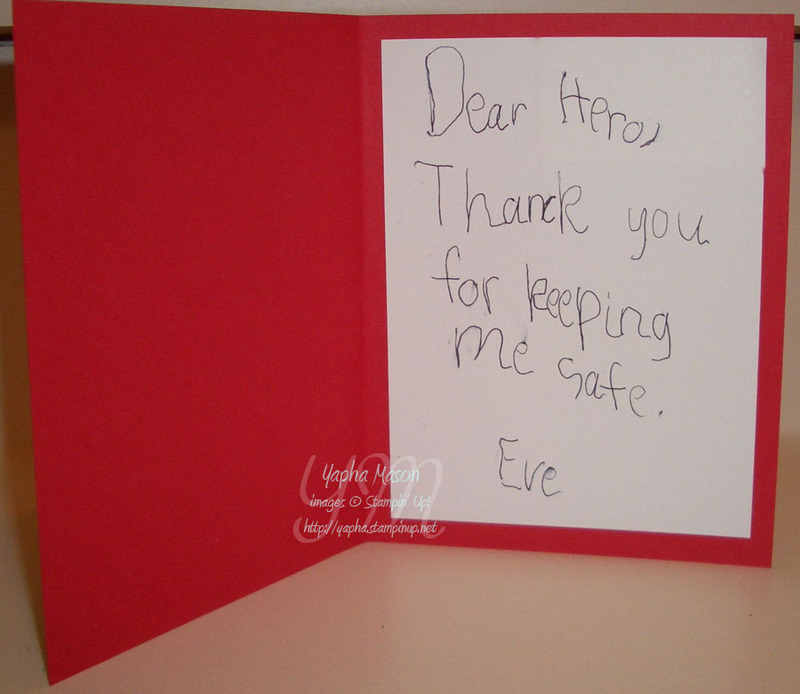 A hero’s heart is going to melt when he gets Eve’s precious message. . . .
Great cards, and I love that your kids are signing them. Glad you’re in the hop! Eve’s note is so sweet! What fantastic things you have here! Thank you for sharing! It is so cute card and very sweet note of Eve. That’s all what we want to say, isn’t it? Thanks for sharing. Such pretty cards! I love the die cut shape you created – very clever.